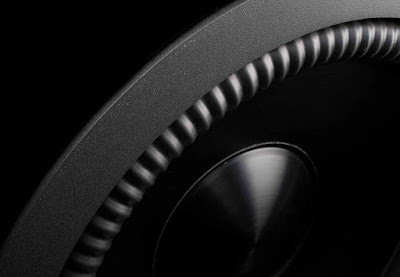 Paradigm® Blog | News & Updates: Subwoofers, Part 4: Please enjoy responsibly: With high power comes deep bass. Sub 101: A bass refresher. You already know that a subwoofer is a speaker specifically designed to reproduce the low-pitched audio frequencies known as "bass." These bass frequencies can be separated into those we can hear, from about 200 Hertz (Hz) down to a low 20Hz, and those we can feel, down to about 16Hz. Having a subwoofer as part of your music or home theater system enhances the frequency range of the overall speaker array by delivering the lower bass notes, a frequency range that the typical speaker cannot fully reproduce. This frees up the other loudspeakers in the system to perform their mid-and-upper range tasks better, and it delivers the lifelike dynamic impact of low-frequency effects in movies and music (the fun parts). Just like every other traditional loudspeaker, the subwoofer produces its sound by converting electric signals into motion, and moving a cone and motor within an enclosed space. Because larger cones and motors are needed to produce lower notes, it takes some serious power to move the parts of a subwoofer. The power comes from an amplifier. A Watt is a unit of power, measuring the power inherent in an electrical circuit. 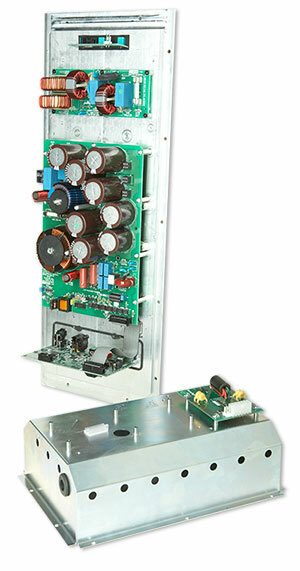 An amplifier provides Watts to power the movement of the subwoofer's mechanical parts. It provides "continuous" power, and it also provides "peak" power when fast bursts of signal demand it. The more continuous wattage you have, the smoother, more stable your subwoofer will perform. Being able to instantaneously peak at much higher wattage output when it's called for is one of the characteristics that separate the boy amps from the men amps. And a "Killowatt" is equal to 1000 Watts. It also helps to know that "Class D" does not mean "digital." The "D" happens to be a random letter chosen to signify a type of amplifier wherein the switching devices operate on a purely electronic level. This is smoother, faster, and much more efficient than Class A or Class B (or Class AB, C, F, etc.) amplifiers. Combine these elements, speaker cone, motor and enclosure, with an amplifier generating power, and you have a powered subwoofer. And now you're cooking with gas. Or, more likely, deep bass effects. Paradigm engineers believe that the difference between a plain vanilla boomer and truly jolting dynamic subwoofer performance can be boiled down to three things: Parts, power and precision. We've reexamined each of these items and distilled from them the essence of deep bass reproduction. To that end, only Paradigm subjects each part in our proprietary subwoofer design to the process of Finite Element Analysis (FEA). Finite Element Analysis uses advanced computer modeling to demonstrate how materials and parts will react to the stresses of subwoofer life, like vibrations, magnetic field flux, and extreme heat generation. We can actually predict the durability of our materials before we choose them to manufacture our parts with them! Manufacturing with the materials that pass our stringent FEA ensures a long life of performance. Most important to our discussion here, we felt that the industry standard Class-D amp was not capable of keeping up with the level of bass performance we strive for. So we redesigned our Class-Ds into an Ultra-Class-D amplifier, the "Kilomax," and built the most powerful subwoofer amplifier ever. We call it the “Kilomax” because when it's connected to a 240-volt line, it delivers a tremendous 4,500 watts of RMS Continuous power, with ginormous peaks of 9,000 watts. Normal subwoofer designs don't stand a chance. Kilomax Amplifiers are faster and more efficient, with more sophisticated DSP and advanced noise suppression, precise temperature sensors with superior protections, and military-grade hand-designed glass-epoxy circuit boards. They effortlessly steer circulating currents to ultra-fast diodes ten times faster than normal Class-D. 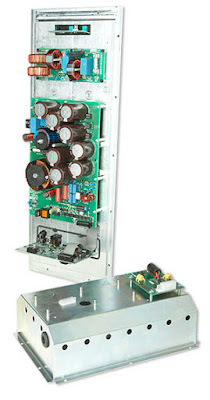 This advanced output stage skips right over any need for slow-poke power transformers by being directly connected to the power line. And we made sure to trickle-down this incredible amplifier technology from our very top-of-the-line subwoofers (SUB 2) to our whole stable of state-of-the-art subwoofer lines. Everyone gets deep bass! Finally, we put it all together with the kind of precision usually found only in hand-crafted home furnishings. From the meticulous details of our woofer cones, lightweight and stiff, with their injection-molded TPE Surrounds with Active Ridge Technology, overmolded to directly connect the cone with the enclosure... to the enclosure itself, solid as a bank vault, with superior damping, bracing and venting built in, and finished to stand out in (or fit into) any decor. This is how you harness the power to produce big, deep, musical bass response in any audio system. Just look at our subs! Better yet, get to a Paradigm dealer and FEEL them. Right in the gut. That's where they getcha. Next time: How the exclusive Paradigm Bass Kit turns your listening space into a deep bass paradise.